On a warm summer evening in Los Angeles imagine sitting out in the comfortable summer air with friends watching a movie among the dead? 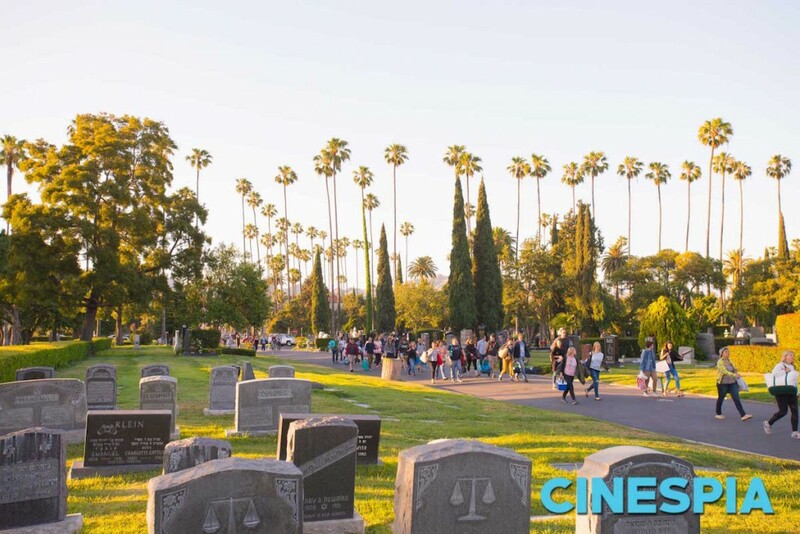 Since 2002, Hollywood Forever Cemetery has hosted screenings of movies in the summer. 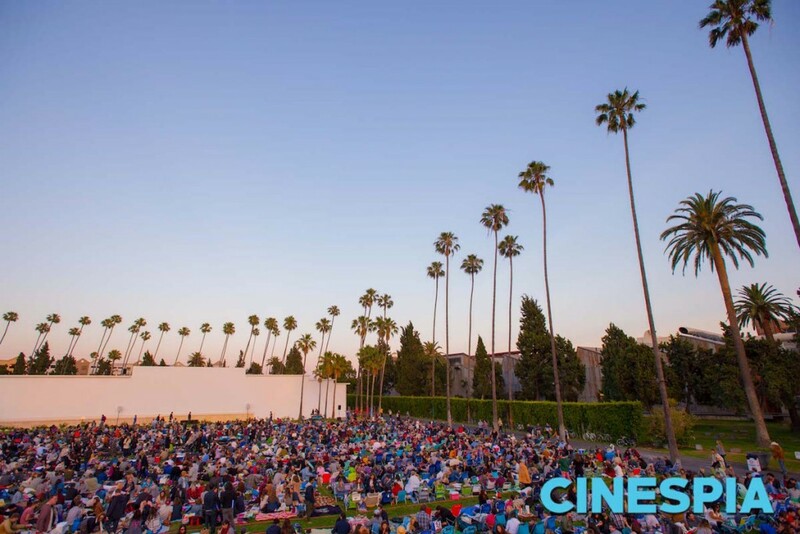 The wildly popular event, produced by Cinespia, sells out every showing today and, if you’re in the area, is a must for a perfect Los Angeles summer activity. Your first stop on the way to the cemetery will be to gather your provisions. You’ll be surrounded by options on your way, but our picks for the perfect picnic would be a stop to Whole Foods, Gelson’s, or Bristol Farms. Whether it’s chicken and salads from the self-serve bar or your own version of charcuterie and crudité, you’re welcome to pair your meal with your favorite wine or beer. There are no restrictions on your food and beverage, but they do have a few rules: walk on the paved paths only, no open flames including candles and barbecues, smoking in designated areas only, no ins and outs, no tall chairs, and, no dogs. 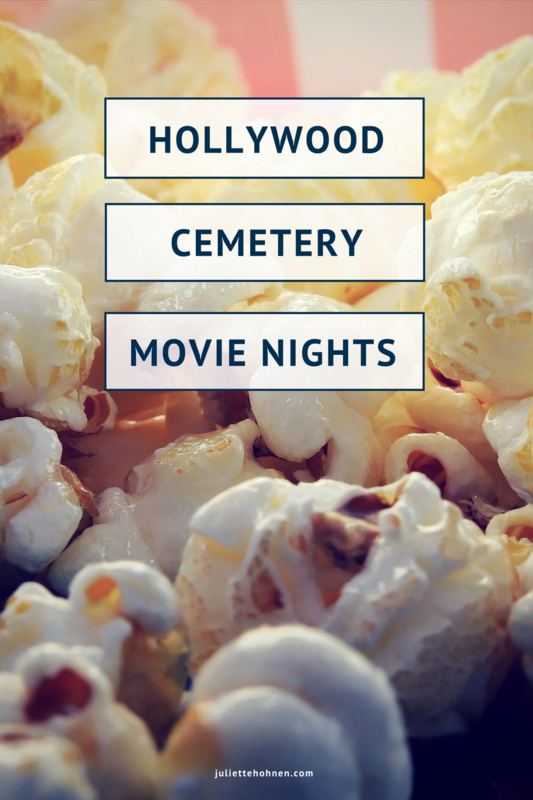 Rules aside, the walk through the cemetery to get to the open lawn space where the movie is shown can be as entertaining as the movie itself. It’s fun to read the headstones along the way – just be sure to respect the graves on the way out at the end of the show. As you may imagine, there are no reserved seats and since the lawn space is first come, first served, you’ll want to arrive early. The line snakes out from the gate at 6000 Santa Monica Boulevard (at Gordon) long before the 7:15 doors open time. Plan on arriving at least an hour early to stake out your seat on the lawn. As we mentioned previously, there are rules beyond the no tall chairs rules and they have to do with seating and some strict seating protocols. There are sections of the lawn where people sit or lay on the grass (bring a blanket, preferably one of the kind that has a gore-tex side to block moisture, if not, they recommend laying a tarp down first) and sections for seating in lawn chairs. Don’t even think about using a lawn chair in the ground seating section – you won’t be there long! A DJ at the movies? Yes! 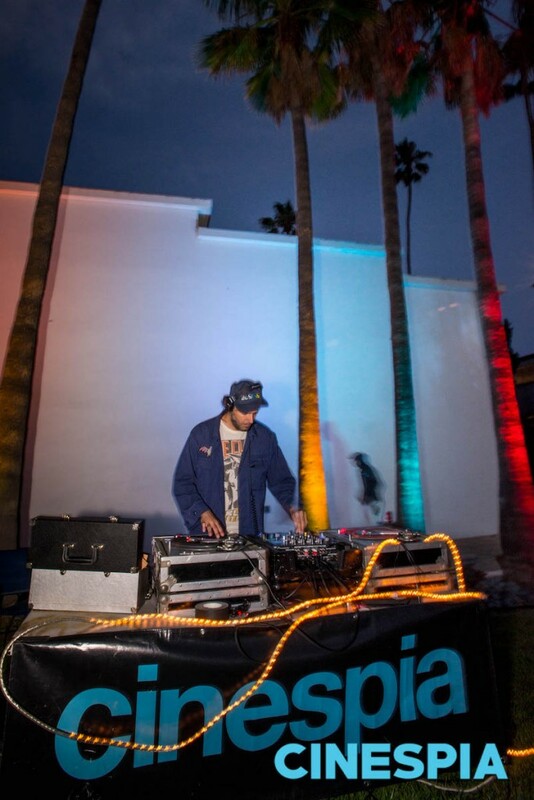 While you’re waiting for the movie to start, Cinespia has a pre-show DJ. Don’t be surprised if you witness a spontaneous dance party as they’re known to break out while the DJ spins until the sun goes down and the movie starts. Also, don’t be afraid to join in one of those parties. We’ve all grown accustomed to high quality cinema with Dolby sound and now XD projection. You won’t find those at the cemetery, but the quality is better than those days when we were young and went to the drive ins. Those speakers that the DJs used for the pre-show music are the same speakers from which you’ll hear the movie – no need to bring any listening devices. 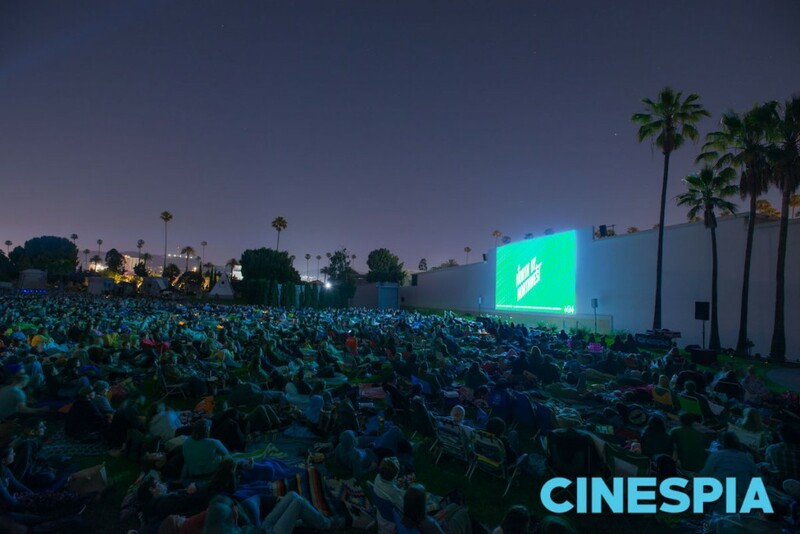 You’ll hear helicopters hovering overhead sometimes interfering with the magic of the movie, but that only serves as a reminder that you are watching the movie outdoors and in the beating heart of the city. Hollywood Forever Cemetery backs up to Paramount Studios which means you often watch a film in the shadow of the studio where the film was shot. 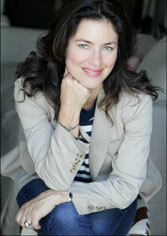 You’ll also likely run into a celebrity or two, remember, they like the movies just like us! 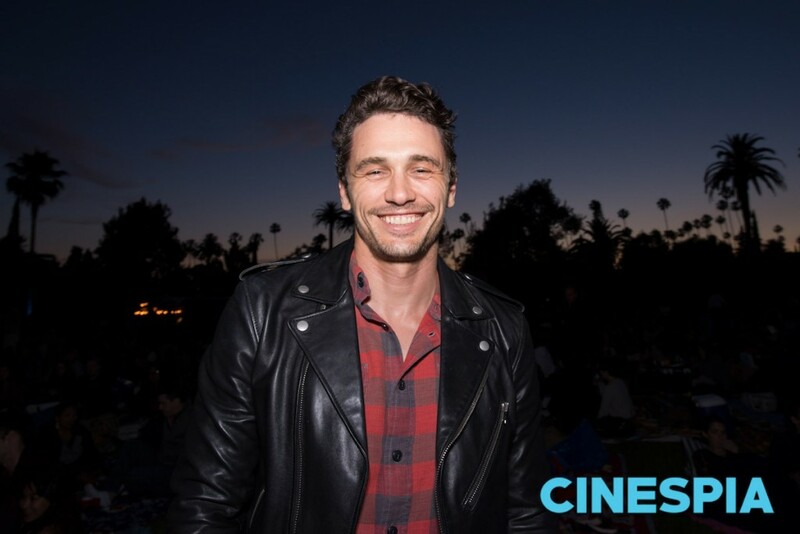 James Franco was recently spotted catching a show. One last pro tip – get your tickets EARLY! Every showing will sell out and most of them sell out early. And, be prepared for the themed photo booth.